Many people have weighed into the debate over Dianne Abbot’s comments on twitter. She has quickly apologised, no doubt due to the pressure she has received from within her own party, the Tories and the media. A wider discussion is required about racism, there are many issues, far more than I can address in this article. One thing is for certain, there is massive ignorance in this country about racism, largely due to a lack of education and understanding of Black history. However, I think I need to clarify that when I use the term Black, I use it as a political term that includes Asians, Muslims etc. When I use the term white I am not referring every single white person –I want to make this clear before I am inundated with messages starting “I’m white and I am not racist”. Racism has historical roots, it is entrenched in the structures and institutes of society and those that perpetrate it have the power to enact their prejudice and bigotry. 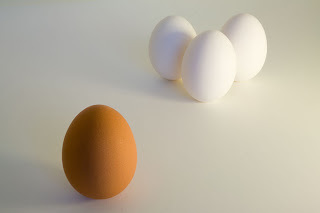 Racism is not simply prejudice against people of a particular skin colour. This simplistic definition that journalists, academics and politicians use is not fit for purpose and conveniently ignores the real issues that Black people face in this country and around the world. Black people are disproportionally stopped and searched, they are up to 26 times more likely to be stopped than white people. Black people are disproportionally represented in the prison system as well as the mental health system. Black people face daily challenges of racism every day of their lives; in the education system, trying to get a job or at airports. White people do not face the same level of discrimination. Britain colonised countries in the past often using terms as ‘uncivilised’ and ‘savages’ to justify the racist treatment of colonized peoples. It is alarming at how quickly Dianne Abbott was asked to apologise for a statement on Twitter, yet Black people are still waiting for an apology for slavery and colonialism. There are many that say slavery and colonialism are a thing of the past. These people fail to recognise the legacy that this country’s colonialism has left on Black people. We still live with that legacy today, from the division of the sub-continent and Palestine, to the drawing of lines in a map dividing the Arab world or countries in Africa. These issues over borders and territory still remain as sources of tension. There are no apologies from MPs that have stoked up racism against Muslims, immigrants or anyone else they wish to scapegoat. There are no apologies made to me when I am stopped by security at airports. On one occasion, an officer openly admitted to me that he was using racial profiling. When issues like this arise, journalists and politicians clamour to find Black people to fit the mainstream opinion and vilify the dissident voice . This is to give legitimacy to their argument, “we’re not racist, look this Black person agrees with us”. On the flip side the colonial mentality left in many Black people is that they will take an argument to have more authority if it comes out the mouth of a white person. The legacy and effects of colonialism are long lasting and hard to shake off. The presence of Black people in government, police or institutions is pointless if there is no grassroots independent Black voice to hold them to account. Black police officers will carry out the same racist stop-and-search policies as their white counterparts as they are part of the same racist institution. They have no real voice. Many Black leaders are unaware of the challenges Black people face, they are ready to appease their white masters and forget their Black counterparts in the ‘field’. The media are often seen to be impartial, but in reality are complicit with the establishment and maintaining the status quo. Newsrooms are full of white, middle-class journalists and the few Black journalists they do have are confined to reporting ‘ethnic’ issues- there does seem to be some progress on this issue, but nowhere near fast enough. Black people face very real challenges every day. Each day if a black person says something or carries out an action, white people hold the entire race to account. If a black child misbehaves in a classroom it is not only that one child but the idea of the misbehaving black child is projected on to the rest of the race. No such reasoning is applied to white people. This is a racist manner of thinking, yet we rarely find these discussions taking place in the mainstream public sphere. Many Black people will be asked about their opinion about Abbott’s comments. This is a racist thing to do – we don’t turn to a random white person in the workplace and ask for their opinion about the statement of a white politician, simply because they are the same colour! The truth is that the ruling elite in the West is white. Racism is a tool of the ruling elite to divide, conquer and rule people. There will be some Black people in the ruling elite that work to subdue their own people for the sake of profit. Racism is not just a word, it is not just discrimination that white people can also face, it is an entire way of thinking that is entrenched in structures, institutions, has historical routes and most importantly the perpetrators have the power to enforce and enact it. In comparison, white people face nothing of the sort. To those that say that racism is a thing of the past, live the lives we live even for a day and you may understand. Unfortunately the elites of this country, both White and Black, are so far detached that they will never understand what it is like to be called a racist slur that you know has its roots in a colonial soldier that said it to your forefathers thinking him inferior.